Exceptionally beautiful for events in the a.m. Thank you! Our Event Coordinator will be in contact with you soon. 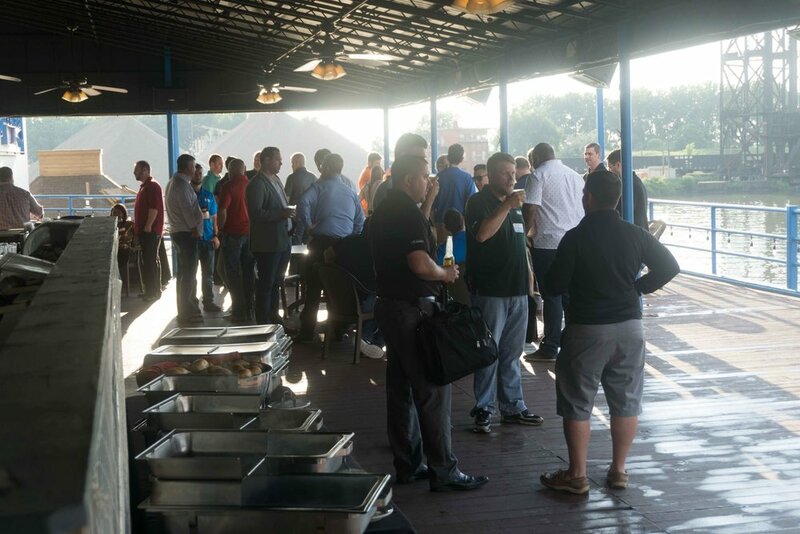 My company, Improving, had an event at Shooters in July and thanks to the wonderful staff, the event was a huge success. 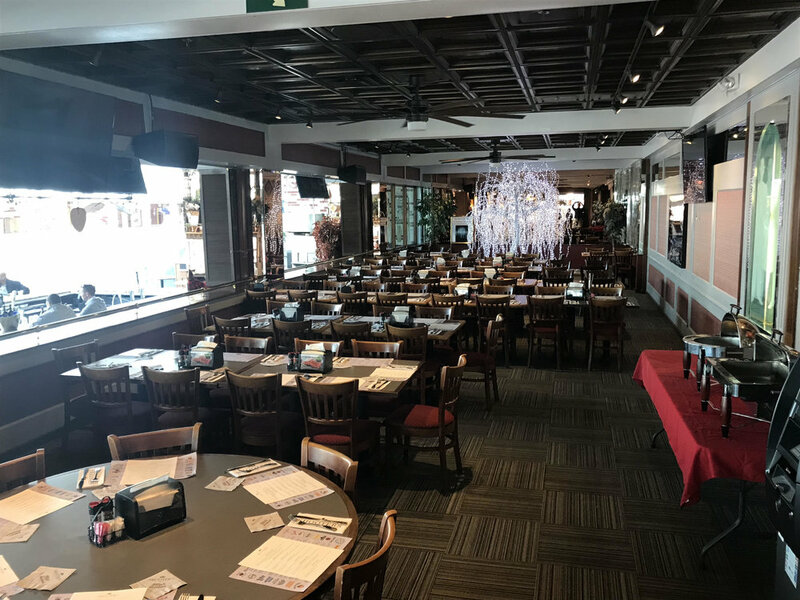 Every detail was exactly as we discussed in the planning stages and the staff was extremely helpful, friendly, and made us want to come back again. The food was amazing and the presentation was enticing. Working with Luke, the event coordinator, was a breeze. 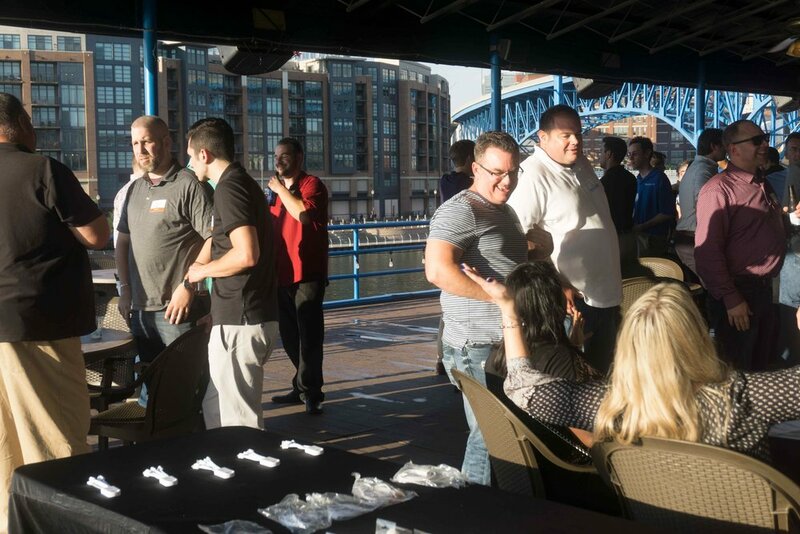 We plan on having another event at Shooters in the Flats next summer. I highly recommend them for any company or private event. You won’t be disappointed. 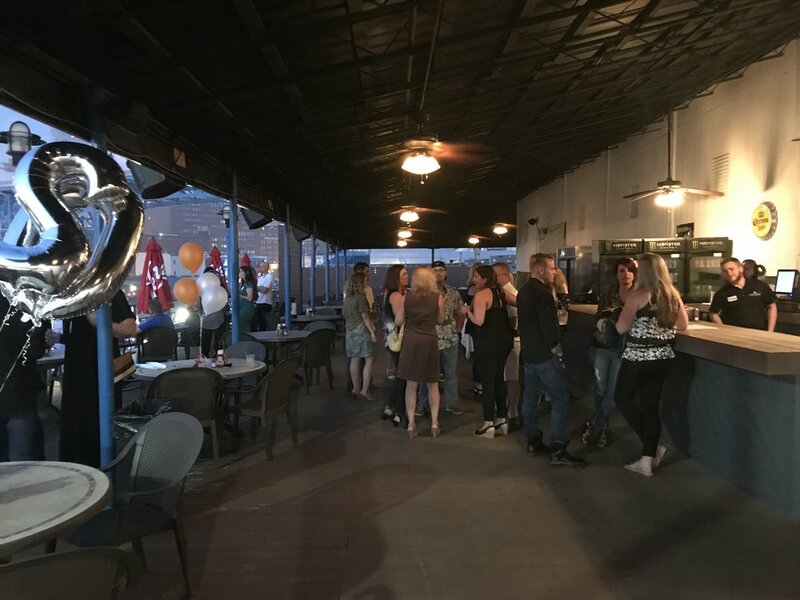 A huge thank you to Luke and Shooters for providing the most perfect night and venue for our high school reunion. Luke was able to cater to all of our needs and always found the answer to the many questions I had. I would definitely recommend Luke to anyone looking for an event coordinator in the future! Hi Luke... Just wanted to thank you and the staff of Shooter's for making our Leif Erikson Day gathering a great success. I heard mostly good comments about the food, the facility, and the staff. 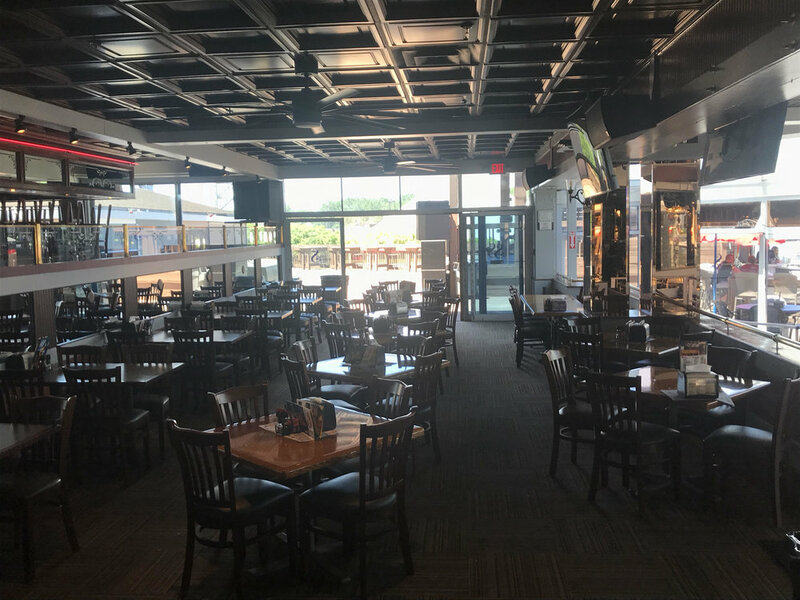 Shooters Upper Deck welcomes guests during the warmer months of the year, providing a casual outdoor facility for groups from 50 to 400. 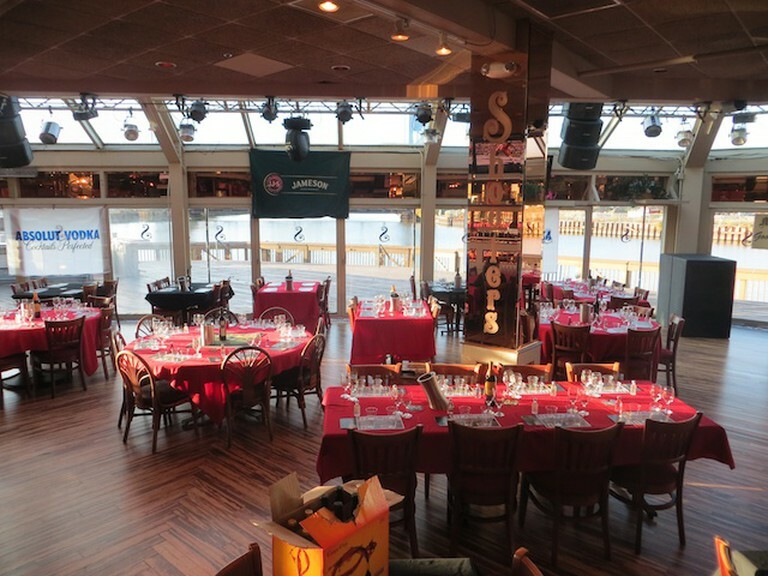 The 270 degree view from our Premier Upper Deck encompasses the Cleveland 's Beautiful East Bank, as well as the opening of the Cuyahoga River to Lake Erie. In the evening lights from surrounding bridges and the East Bank illuminate the water. 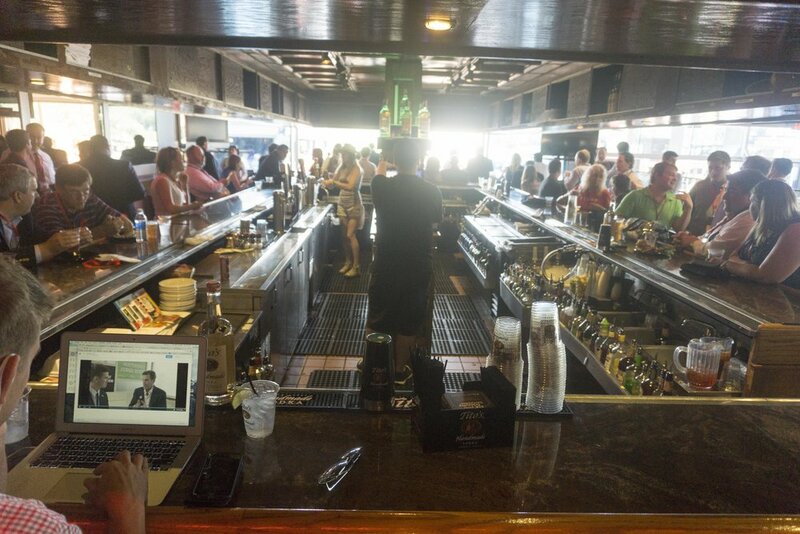 Our premier Upper Deck has a private bar which offers exclusive service to your guests. Partial closure of the half the deck provides great cover in the case of inclement weather. 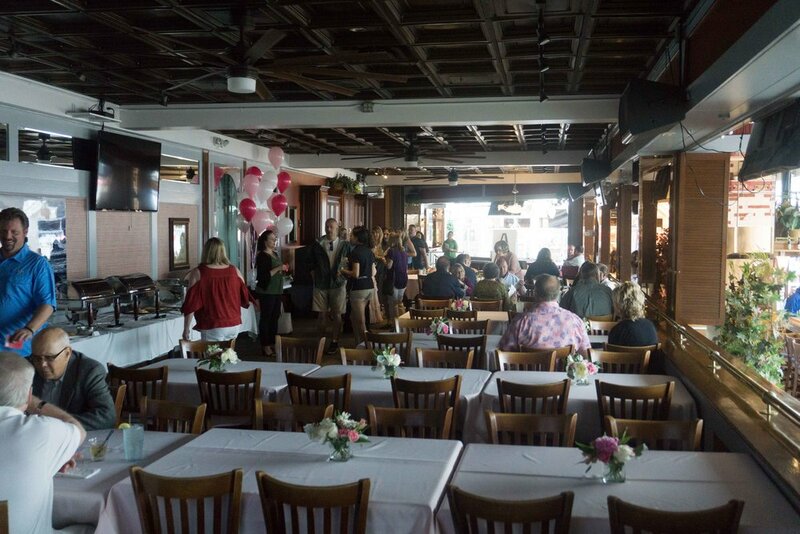 The area beneath the deck's awning seats up to 85 guests. 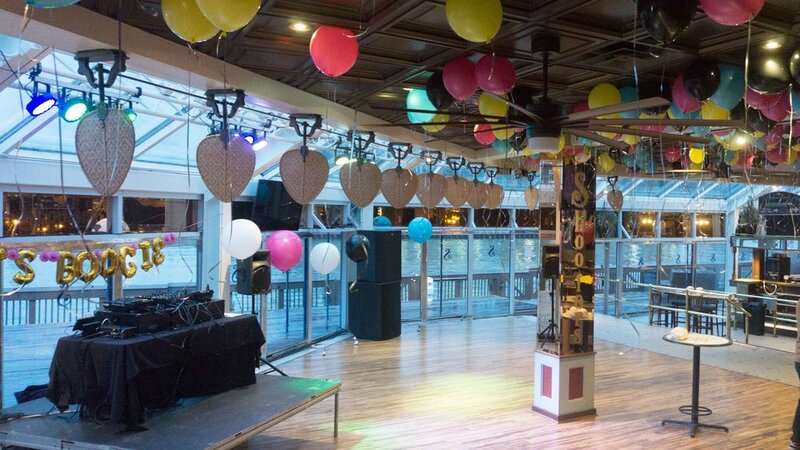 Shooters Upper Deck can also accommodate entertainment for private functions, including bands and DJs. 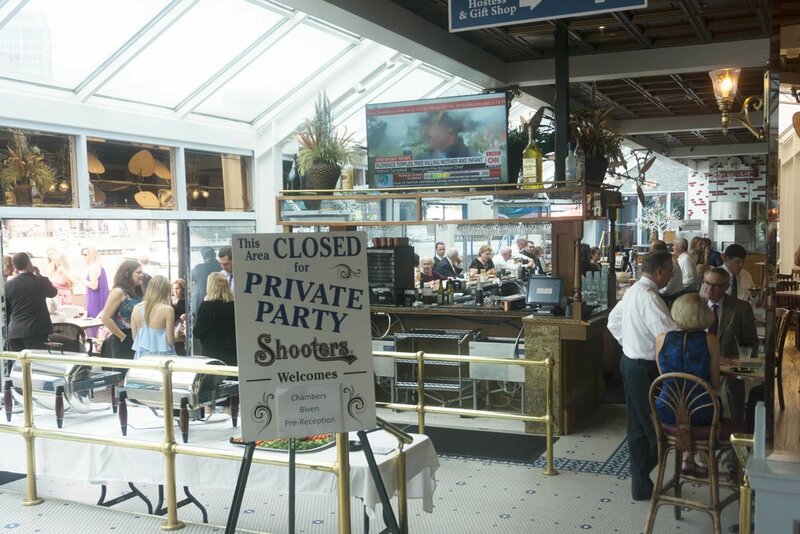 Shooters has options available at our stage patio & bar, upper deck, two inner dining spaces as well as two bars. 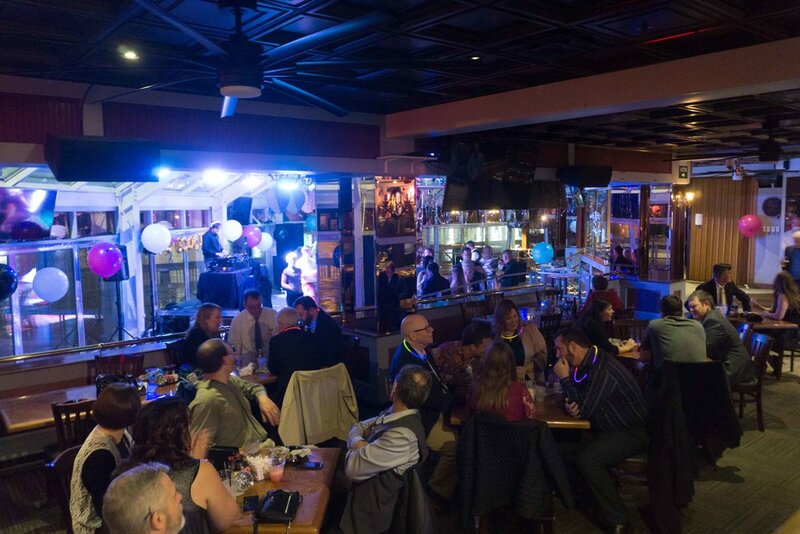 These areas can accommodate groups of 10-150 seated & 80-400 standing for private and semi-private events. Shooters' management can customize a package including location options based on your group's size and specific needs. 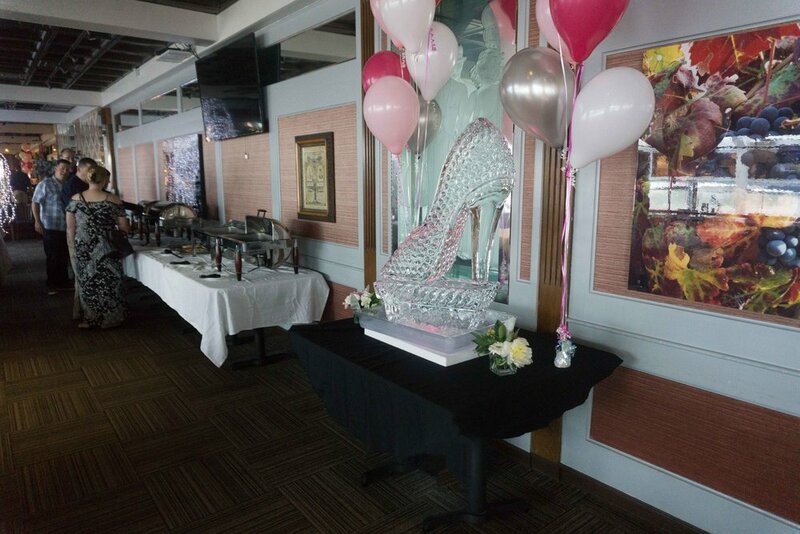 Here at Shooters, it is our goal to personally work with group organizers to offer a tailor-made banquet package along with an array of dishes, specially created by our Executive Chef, which will allow your organization or company to present a memorable evening on the waterfront. 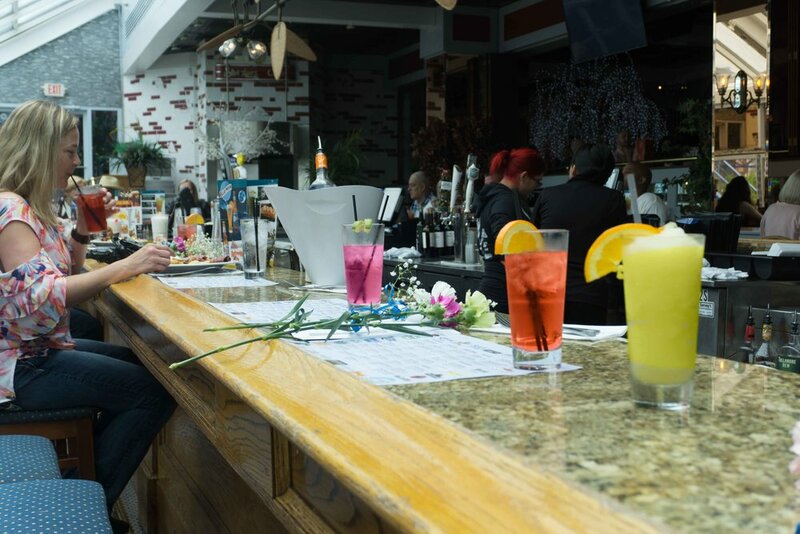 Shooters has hosted events for the U.S. Conference of Mayors, the FBI, Continental Airlines, M.L.B., N.B.A., and even an entire high school prom. 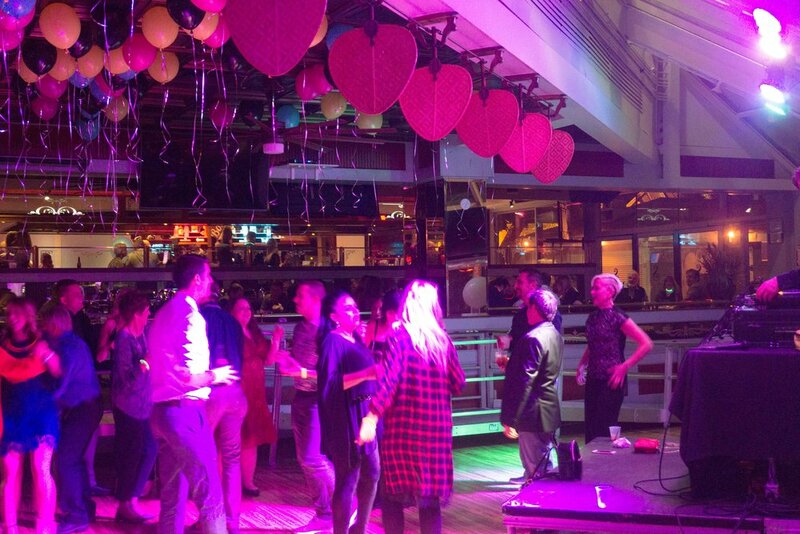 Let us produce an equally successful event for your group!